Navigating the world of search engine optimization can be tricky. But there are some simple things you can do to improve your website’s SEO – starting with making sure your images are optimized. 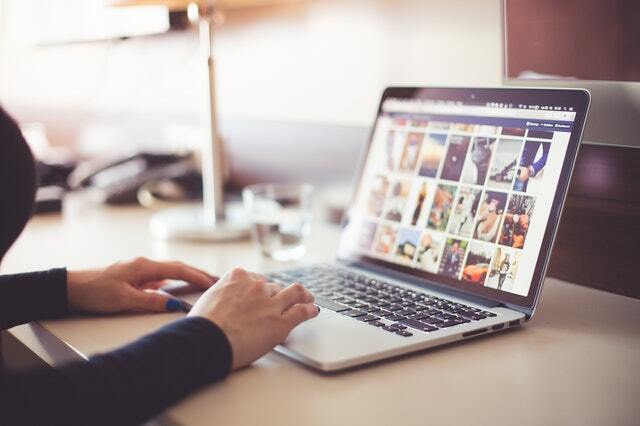 Appropriately optimized images can not only improve the website experience for users, but Google will recognize your efforts and your website is likely to perform better in organic search results. Additionally, the visually impaired will be able to know what the images on your website represent! 1. Proper images. Use an image that actually makes sense given the content on the page. This is important because if the image doesn’t make sense, it will detract from user experience and optimizing it accurately won’t support SEO for the page. 2. Clearly name images. Use a name that describes the image. For example, al-jones-mediator.jpg is better than pic.jpg. 3. Write alt tags for your images. An alt tag is used when a browser can’t properly render an image and adds a text caption when you roll over the image. It also serves another very important purpose: Alt tags are used by screen-reading software which helps blind people use the web by reading the contents of web pages aloud. The alt tag needs to be in plain English, and worded in a way so a blind person can easily determine what the image depicts. 4. Size appropriately. Make sure you have resized your images appropriately. Page speed and mobile speed are essential to a well-functioning, user-friendly, and SEO-friendly website. Use a program like Photoshop (or other free programs) to resize your images. Keep full-size thumbnails as small as possible balancing the need for site speed and image quality. 5. Consider image dimensions. Use caution when considering your image dimensions. Of course, it is aesthetically pleasing to use larger images, but don’t let this compromise the overall functionality of the website by having a large number of oversized images on a single web page. 6. Captions are key. Use captions as an opportunity to add some extra content to your page, when appropriate. Images within the content. If you are adding an image within content, make sure to strategically place it where it can help break up content, increase visual aesthetics, and help to engage users. 7. Be consistent! Make sure you are incorporating these tips throughout your website, and ongoing for new images added to your site. As always, make sure you are allowed to use any image you select and that you aren’t violating anyone’s copyright protection. Make sure you know the usage rights for the image, or how the image is sourced. Aside from improving your SEO, optimizing images properly will create a better experience for anyone who visits your website. If you have any questions or need help, we’re always here.